[News from the News Center] On the morning, Apr. 2, after the appointment by the CPC Hebei Provincial Party Committee, Zhao Xianfeng, YSU new Party Secretary, visited Prof. Tian Yongjun, academician of Chinese Academy of Sciences, at the Metastable Materials Science and Technology State Key Laboratory accompanied by Zhao Dingxuan, Vice President and standing committee member of the YSU Party Committee, and Li Hongbo, Director of the YSU Party Committee office and the president office. Prof. Tian shared his opinions and suggestions on the reform and development of our university. Zhao Xianfeng and Prof. Tian Yongjun. At Prof. Tian’s office, Zhao Xianfeng and Prof. Tian had a deep conversation. Tian introduced in detail the research on super hard materials research, new directions of research, high-voltage scientific research center, high-level talent team and echelon construction, and Zhao listened carefully to Prof. Tian’s recommendations for YSU development. Zhao Xianfeng said that I shall feel myself honored to be a member of YSU family, and aware of the responsibility. Through exchanges, Zhao also deeply sensed the enthusiasm of pursuing the dreams represented by Academician Tian Yongjun. He gave a strong confirmation of the strategic development of the School of Materials Science and Engineering. The development of YSU depends on the faculty and staff, and YSU Party Committee will seeking for the support from all sides and continue to create a good environment for staff’s development, insomuch as YSU will fully support Prof. Tian Yongjun and his team to carry out scientific research and accelerate the construction of world-class modern high-voltage scientific research center to benefit the world and China on the international and national levels. 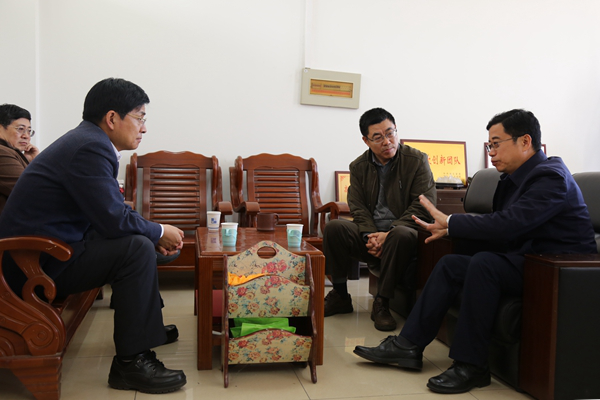 The talk lasts for nearly two hours and at the end of the conversation, Zhao Xianfeng said that he would like to listen to the opinions and suggestions from Academician Tian Yongjun on the development of the university. Prof. Tian Yongjun congratulated again and welcomed Zhao Xianfeng to YSU. Tian expressed his gratitude to the YSU Party Committee over the years, and his resolutions of contributing to China and YSU.